It’s nearly two months since Lord Adonis’ big announcement of a £50 million pot to invest in the country’s ten worst stations – and the naming of Clapham Junction as number two on the list. 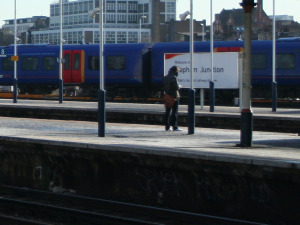 I was a little cynical, since I think Clapham Junction needs some significant spend on it, and questioned how the cash would be divided. Especially when other, less needy, stations were getting significantly more anyway. However, it seems Clapham Junction is one of the winners – getting (subject to negotiation) £10 million, 20% of the total pot. Assuming the higher placed stations, like Liverpool Lime Street which was seen as the country’s worst, get similarly big shares the poor stations at the bottom won’t be doing too well! But while I’m still not convinced it’s enough – it’s a large sum and, spent well, will make an impact. It’ll be interesting to see what comes of it.